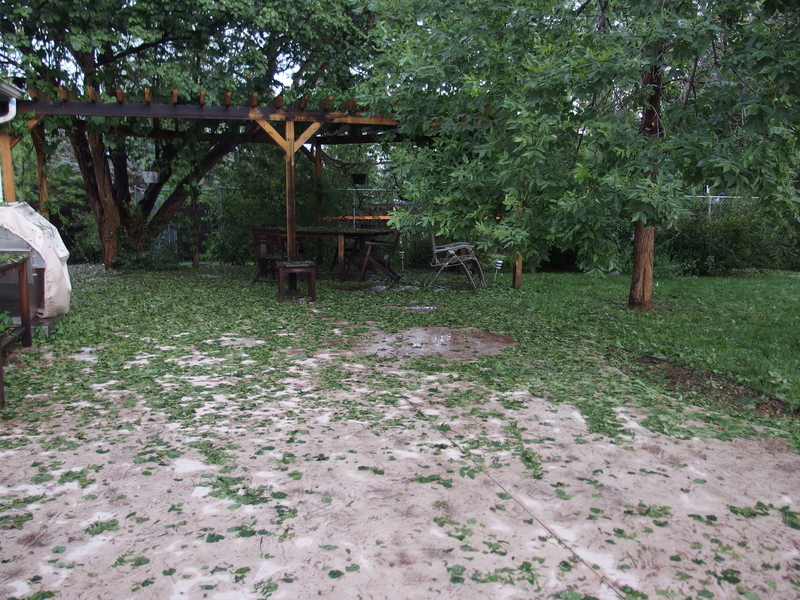 We had a major hailstorm — along with a tornado warning that actually had us sheltering with the dogs in the approximately 10 square feet of the house not adjacent to a window — that left some significant leaf carnage in the back yard. Still some hail in the lawn three hours later. 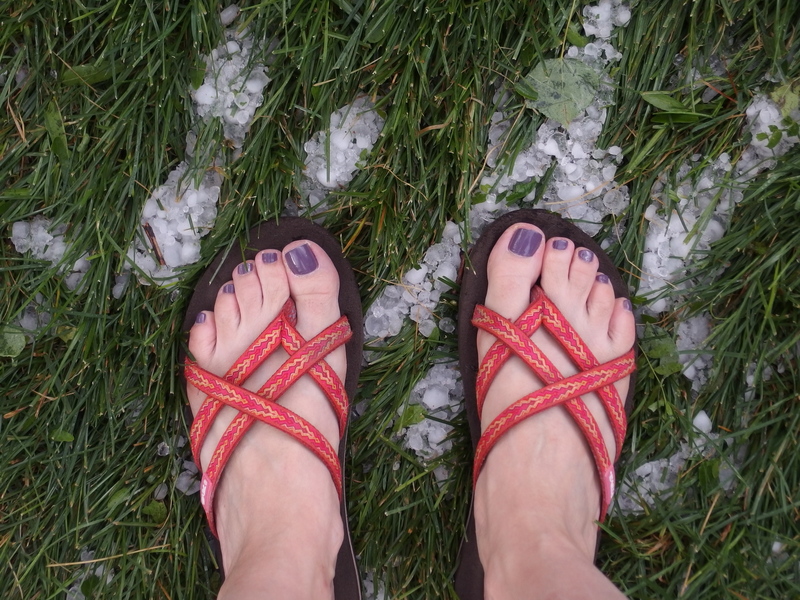 This entry was posted in Colorado Awesomeness, Photography and tagged denver in summer, hailstorm, severe weather on June 24, 2015 by Amy Robertson. Very impressive! Love the purple toenail polish, too. Once again thanks for offering evidence that Syracuse does not have the most miserable climate in the country (and ditto on the nail polish). Thanks for the toenail kudos! 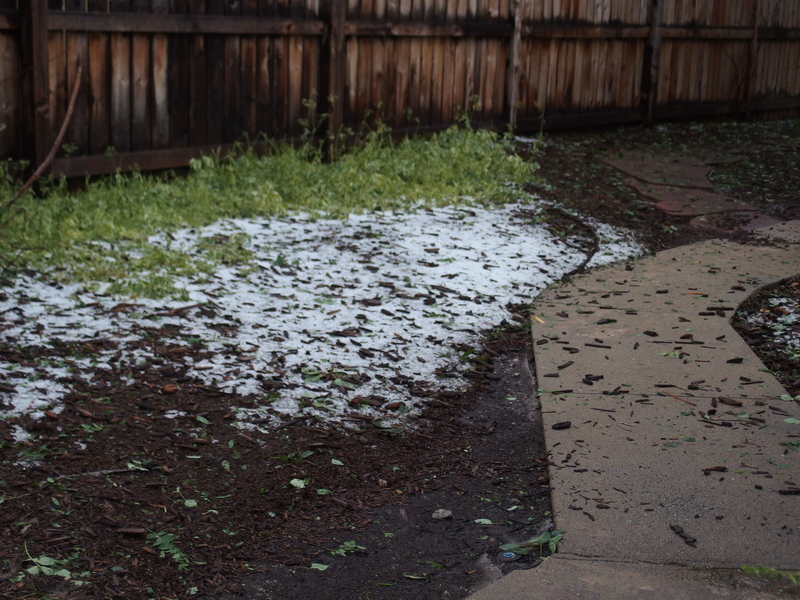 Denver’s climate is miserable in short bursts — like the 15 minutes we spent in the worst part of the storm sitting in the car in the driveway because I announced, “these storms always pass quickly; let’s wait it out.” “It” at that point being drizzle and light hail. But we timed the commute fairly well — a key intersection between office and home was under three feet of standing water about 10 minutes after we drove through it. Yes! You have perfect toes! 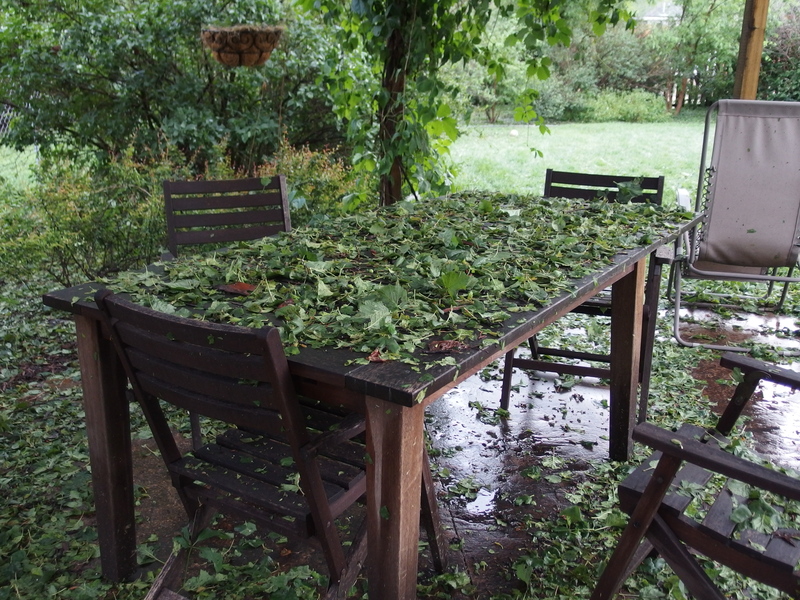 Oh, and sorry about the hale.